Deliver the right combination of performance, availability and power efficiency in a dense, 1-socket, 1U chassis with the next-generation PowerEdge R320. Experience high-level productivity with the option-packed PowerEdge™ R320 —powered by the latest Intel® Xeon® processor E5-2400 and E5-2400 v2 product families and paired with six dual in-line memory modules (DIMMs) and extensive reliability, availability and serviceability (RAS) features, the R320 is ideal for keeping core business applications up and running. Help improve the performance of your business applications and virtualized environments using the scalable I/O (input/output) bandwidth of the PowerEdge R320 with its PCI Express (PCIe) 3.0-enabled expansion slots. Configure your storage options to suit your needs. The PowerEdge R320 enables you to tailor your system with up to eight internal drives — 100 percent more hard drives than the previous Dell™ generation — two PCIe expansion slots and either hardware or software RAID options for data protection. Experience enterprise-class reliability, security and availability with the rack-optimized 1U PowerEdge R320 server – ideal for powering your core business applications. 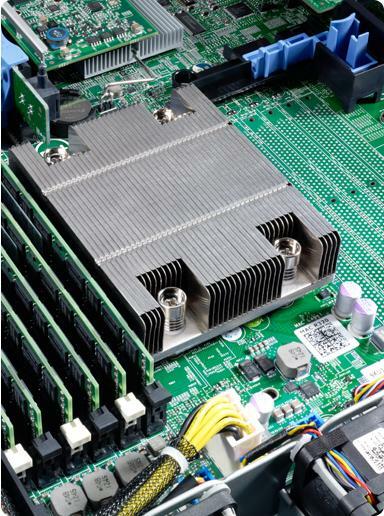 Get impressive performance and power efficiency with the Intel® Xeon® processor E5-2400 and E5-2400 v2 product families, and the R320’s 1U chassis density and enterprise features. 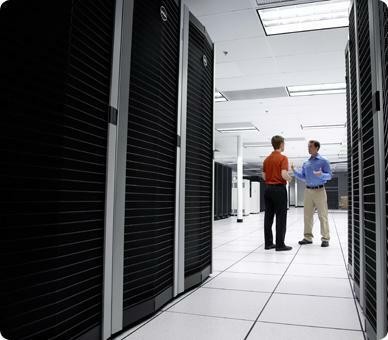 Simplify deploying, updating, monitoring and maintaining your PowerEdge servers with the Dell™ OpenManage™ portfolio. Take advantage of PowerEdge RAS features, such as error correcting memory, that help keep your core business applications up and running. Make IT the engine for your business success. The newest generation PowerEdge family is engineered with the right combination of features and performance scalability to handle tough workloads for both large and small data center environments. Streamline operations and help boost productivity to get the most out of every dollar spent. Manage your Dell PowerEdge servers in complex IT environments by automating the most essential server lifecycle management tasks: deploy, update, monitor and maintain. Dell Services can help reduce IT complexity, lower costs and eliminate inefficiencies by making IT and business solutions work harder for you. The Dell Services team takes a holistic view of your needs and designs solutions for your environment and business objectives while using established delivery methods, local talent and in-depth domain knowledge to help you lower your total cost of ownership.